After a good year or so of hinting, Phil Elverum is finally dropping the proper follow-up to Mount Eerie's No Flashlight, a record that you may recall came out way back in 2005. 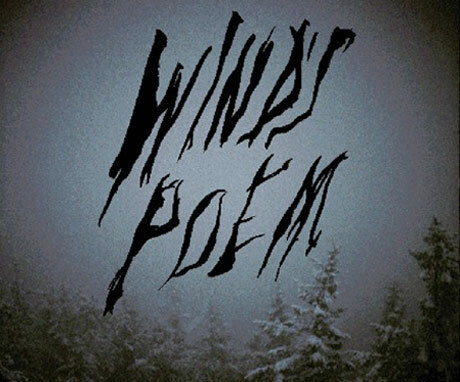 This new bit of nature-obsessed outsider rock is being called Wind's Poem, due out August 18 via Elverum's own P.W. Elverum & Sun and apparently a self-described "black metal album." To be honest, that last bit about the black metal business is a bit of a head-scratcher. Yeah, Elverum released the very metalish mini-album Black Wooden Ceiling Opening in 2008, but during last week's live show in Vancouver, he played almost the entire Wind's Poem LP, and it was anything but rockin'. In fact, the new material was Mount Eerie at its downright mellowest, with Elverum and his stage partner No Kids' Nicholas Krgovich (who also contributes to album) going deep into a folky la-la land of hills, rivers, mountains, wind, wind and even more wind. But maybe on actual record this will all come across bigger, louder, blacker. In typical P.W. Elverum fashion, Wind's Poem will come on CD, as a digital download, or on a clear double vinyl in "a gatefold jacket with bronze foil stamping and a pull out lyric poster." The cover is up there above. A full-on tour is also apparently in the works for the fall, with Elverum promising to bring a full band that includes two drummers, gongs and some massive stacks of amps. 7. "The Mouth of Sky"